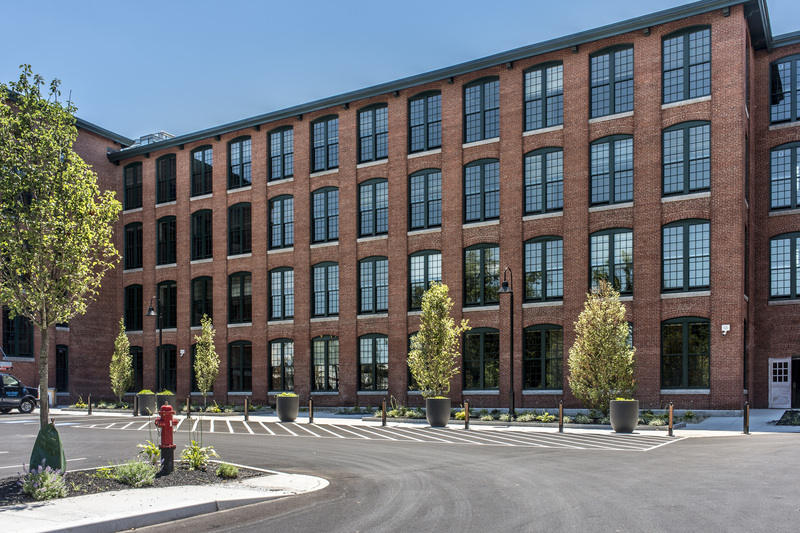 LUDLOW, MA (October 26, 2017) - WinnCompanies, an award-winning multifamily property development and management company, today announced the completion of a $19.3 million adaptive reuse project that has created 75 units of mixed income housing in a 110-year-old mill building in the western Massachusetts community of Ludlow. Massachusetts Gov. Charlie Baker and Undersecretary of Housing & Community Development Chrystal Kornegay joined dozens of state and local officials to formally christen the Residences at Mill 10, a four-story 108,163-square-foot brick building built in 1907 and listed on the National Historic Register. People began asking to be put on the waiting list for apartments in Mill 10 almost as soon as we began construction, so there is no doubt that the desire for quality housing for seniors in this region is strong, said Larry Curtis, president and managing partner of WinnDevelopment. The ribbon-cutting caps off a six-year effort to preserve and revitalize this iconic building for a vulnerable population. We thank the Commonwealth, the Legislature, the Town of Ludlow and many others who helped us bring this development across the finish line. It took 14 months of construction to transform the mill's interior into 63 one-bedroom and 12 two-bedroom apartments for ages 55 and older. Fifty-one of the units are reserved for households with incomes at or below 60% of AMI; 15 are restricted to households with incomes at or below 30% of AMI, eight of which qualify as project-based subsidized housing; and nine of the units provide market rate housing. The Residences at Mill 10 is fully leased. Almost 90 percent of residents are from Ludlow and surrounding communities. Our administration is proud to support critical projects like these that provide mixed-income, affordable housing opportunities for our growing population of older adults, said Gov. Baker. Here in Ludlow and throughout Massachusetts, affordable housing provides access to economic opportunity and stability for our most vulnerable populations. We congratulate all the state, local and private partners involved in reaching this milestone. The project was made possible by State and Federal Low-Income Housing Tax Credits from the Massachusetts Executive Office of Housing & Community Development (DHCD), which also provided money from its Housing Stabilization Fund and from its HOME Fund; Federal and State Historic Tax Credits from the National Park Service and the Massachusetts Historical Commission; tax credit equity provided by the Bank of America, which also served as the construction lender; a loan from the Boston Community Loan Fund; money from the Affordable Housing Trust Fund managed by MassHousing; a loan from the Town of Ludlow; Facilities Consolidation Fund proceeds from the Community Economic Development Assistance Corporation (CEDAC); a first mortgage from Massachusetts Housing Partnership; project-based subsidies from the U.S. Department of Housing & Urban Development (HUD); and, owner equity in the form of a deferred developer fee. Our Commonwealth thrives when our cities and towns have the resources to meet their needs, and drive local growth, said Lt. Governor Karyn Polito. We are pleased to see the result of strategic state investments unlocking new opportunities for private development and affordable housing options to support the Commonwealth's employers and families. The Residences at Mill 10 are the only housing at the 170-acre former mill complex located along the Chicopee River in the city's center. The former site of the Ludlow Manufacturing and Sales Company includes more than 60 buildings where thousands of workers once produced jute yarns, rope, twine and webbing. WinnDevelopment also has secured the rights to develop housing at Mill 8, known as the Clock Tower building, at the Ludlow Mills development site. "Today's message is about partnership, said State Rep. Thomas Petrolati, a key player in securing financing for the project. I am glad to be part of a team that included Gov. Baker, Lt. Gov. Polito, Secretary of Economic Affairs Jay Ash, Secretary of State William Galvin and WinnDevelopment, along with Westmass, in achieving the historic renovation of Mill 10. This is a beautiful enhancement of a building that was dormant for many years, and now has become an intricate part of our community." Westmass Area Development Corporation, the non-profit owner of the Ludlow Mill complex, is leading a phased economic development effort at the site expected to produce $2 million in new tax revenue, create up to 2,000 jobs and stimulate around $300 million in private investment when the mixed-use initiative is completed in 15 to 20 years. 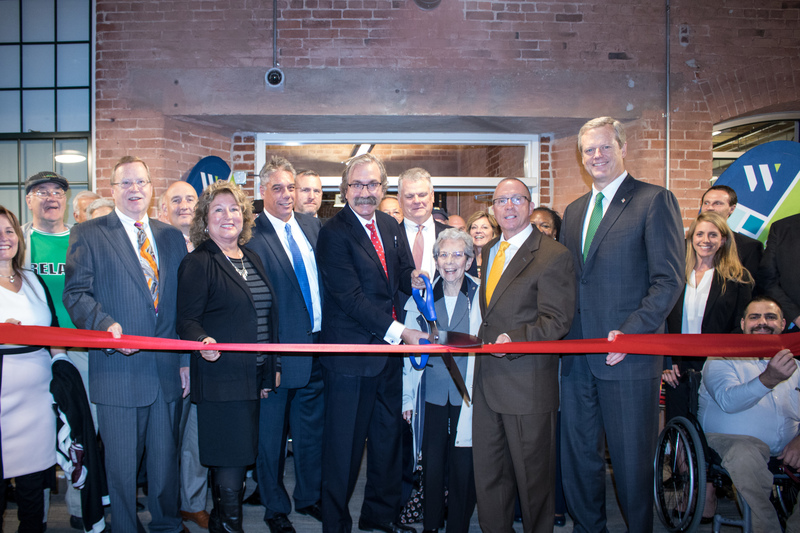 Cutting the ribbon for these desirable residential apartments represents another significant step towards reintegrating this underutilized, historic mill complex into the fabric of the community, said Eric Nelson, president and CEO of Westmass. Westmass is proud of our collaborative partnership with WinnDevelopment, one of the leading developers of historic properties in Massachusetts and the nation. Westmass would like to thank WinnDevelopment for the opportunities it has created for the Town of Ludlow. The Mill 10 facility is truly a transformative project and a first-rate result. Of the more than 500 jobs created by the project, 53 percent went to Minority Business Enterprises. Dellbrook Construction LLC of Quincy, MA, served as general contractor. The architect was The Architectural Team of Chelsea, MA, which has completed more than 200 adaptive reuse projects in Massachusetts. The Residences at Mill 10 are going to provide 75 quality, affordable apartments for households with a range of incomes and help revitalize downtown Ludlow,'' said MassHousing Executive Director Tim Sullivan. We were pleased to collaborate with WinnCompanies, the Baker-Polito Administration, and the Town of Ludlow to help create this important housing resource that will serve the city and its residents for many years into the future. To create the community's stunning new apartments, the construction team restored the Mill 10's exterior brick work, installed new insulated windows in almost floor-to-ceiling window spaces, and sandblasted and restored the mill's original beams to create the community's stunning new apartments. On-site amenities include community spaces and common areas on each floor, a fitness center, laundry facilities, a resident lounge and parking. Congratulations to the Town of Ludlow and WinnCompanies for working to turn this historic vacant mill into much-needed senior housing near downtown, said Clark Ziegler, executive director of the Massachusetts Housing Partnership. The Town deserves praise for creating the zoning to encourage the rebirth of its mills and the downtown, while WinnDevelopment has once again proven its talent for transforming a community's proud industrial past into housing and hope for the future. The Residences at Mill 10 are managed by WinnResidential, which also manages more than 1,680 apartments in Amherst, Chicopee, Holyoke, Springfield and Westfield, including military housing at Westover Air Force Base. Under the leadership of WinnCompanies CEO Gilbert Winn, adaptive reuse projects undertaken by WinnDevelopment have converted vacant landmark and historic buildings into more than 3,600 units of affordable and mixed-income housing collectively valued at $600 million in six states and the District of Columbia.